Butchering your own meat is the real mark of a good chef. Not only to you thoroughly get to know the ingredient you are working with but you are also often left with lovely trimmings, perfect for making your owns stocks and sauces. Most people now know that buying a whole chicken and jointing it down is far more cost-effective than buying a couple of breasts alone, but this applies to many types of meat. 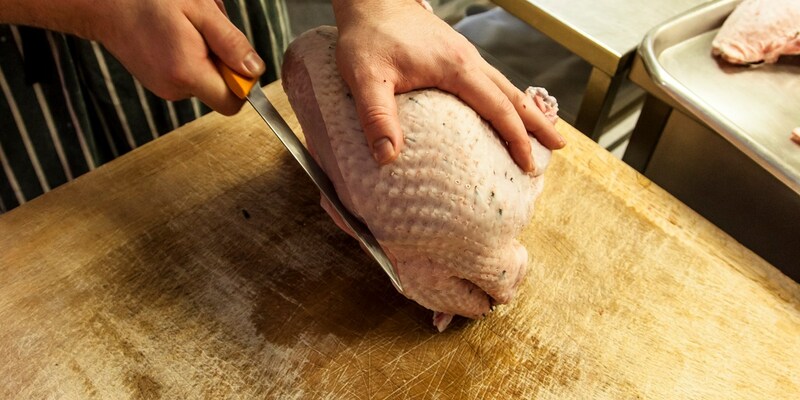 Learning to butcher your own meat is certainly the most cost-effective way of getting to grips with a range of cuts. The main reason for butchering your own meat though, is the sheer creative freedom that comes with it. With a few deft moves of the knife, a rack of lamb can be transformed into a loin or noisettes. A roast leg of lamb can be quickly butterflied and turned into a barbecue masterpiece, instead of being confined to the oven. The choice is yours – these guides will hopefully go some way to introducing you to the joys of butchery.